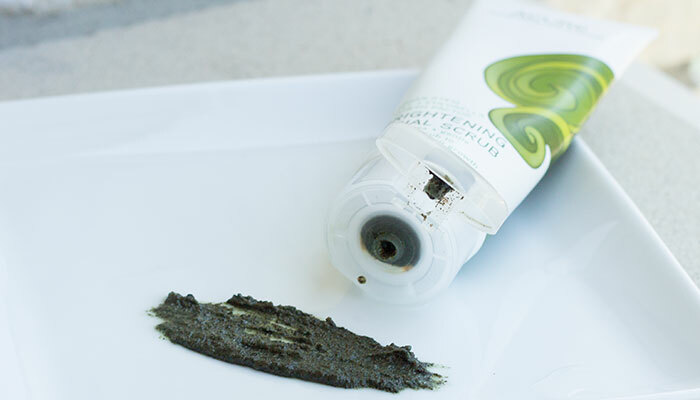 When one of my coworkers asked me for a facial scrub recommendation, I couldn’t help but describe Acure Organics’ Brightening Facial Scrub as one of my favorites that makes you look like a “green sea monster” during use. And I meant that in the cutest, most attractive green-sea-monster-kind-of-way. 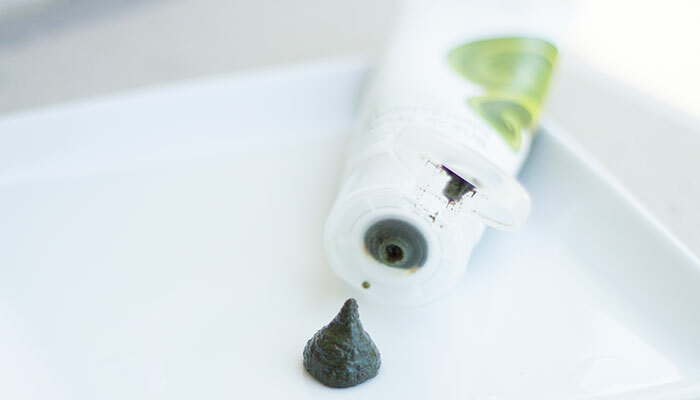 Deep green in color straight out of the tube, Acure Organics Brightening Facial Scrub transforms into a punchy mint green speckled with scrubbers when mixed with water, creating a slight foaming action that allows the scrub to slip across the skin nicely. The amount I’ve shown in the pictures in this post is probably twice as much as you need to cover your face. However, I do like to exfoliate my chest and upper arms, especially in warmer weather, as I can be a bit breakout-prone in those areas, too. If you choose to do that as well, the Hershey’s kiss-size dollop is plenty! While I think Acure Organics Brightening Facial Scrub is gentle enough to use every day, I prefer to keep my exfoliation to 2-3 times a week based on my skin’s needs. If I feel dull or am flaky, I would have no problem using this gentle exfoliating scrub 4-5 times a week. The sea kelp scrubbers aren’t overwhelmingly big or abrasive, yet you do feel them working each time you massage the product into your damp skin. 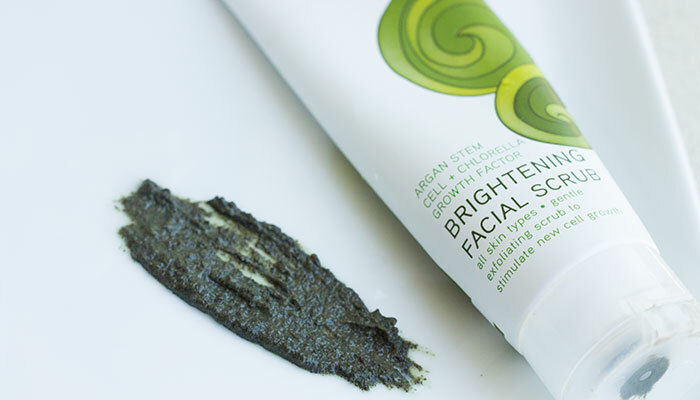 You can pretty much always count on Acure Organics to pack the best, most beneficial, organic, fair trade ingredients into its affordable products, and the Brightening Facial Scrub is no different. The Curoxidant™ Blend alone is enough to inspire gasps of delight (acai! blackberry! rosehips! pomegranate! rooibos! ), and that’s just the beginning of the ingredients list. French green clay helps unplug pores while zesty lemon peels brightens and tones. Chamomile calms as coconut oil, olive oil and argan oil moisturize, and Acure’s signature chlorella growth factor stimulates new cell growth to reveal more radiant, beautiful skin. Can you see why Acure Organics Brightening Facial Scrub is a staple in my shower? That also means it’s a repurchase for me. Easily.Besides, I never pass up an opportunity to look like a green sea monster!